Posted November 17, 2015 by Sage & filed under Teaching, Yoga. I’m very excited to introduce Lauren Reese to you as the latest certified Sage Yoga for Athletes teacher. When you have the chance to study with her—or just to be in her sweet company—you’ll understand why. With her mother, Lauren co-owns Breathe Yoga Atlanta. 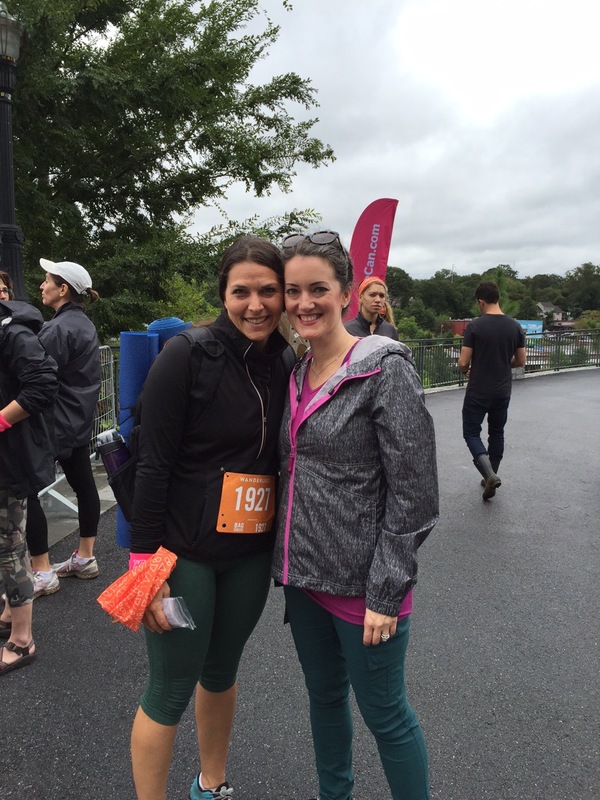 I first met her in person at Wanderlust 108 in Atlanta last year; there, she told me she’d be coming to Kripalu to take the content side of Teaching Yoga to Athletes. When she arrived, she was sporting a fashionable walking boot due to a bad bout of plantar fasciitis. It didn’t slow her down! Here she is icing her foot in the Massachusetts snow. 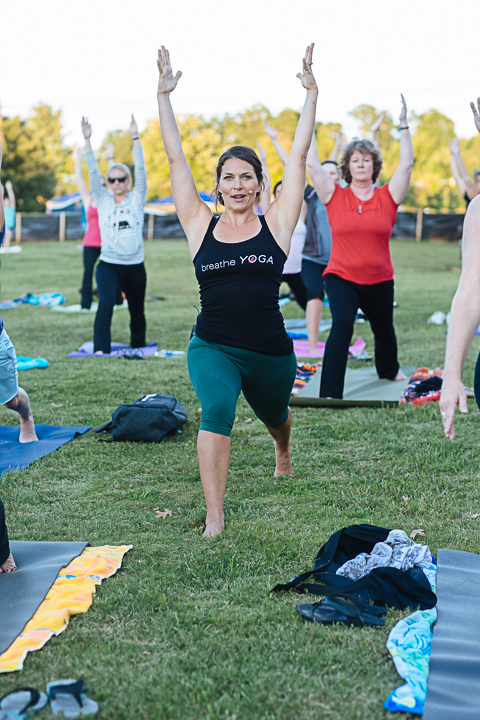 Lauren handled the Atlanta stop of the 2015 REI Yoga for Athletes tour, then came up to Carrboro for Sequencing Yoga Classes from Welcome to Namaste. While in town, she charmed her colleagues and now has quite a fan club in North Carolina. Key to her charm is Lauren’s sense of humor, combined with a compassionate yet direct teaching and conversational style, all wrapped up in a honeyed Georgia accent. Lauren is a curious student—her questions are intelligent, insightful, and indicative of her keen intellect and desire to understand the what, when, where, and why of asana practice, pedagogy, and physiology. Her background includes years of group fitness instruction, a career as a family therapist, and an ongoing study into the function of the human body. Put together, this yields a wonderful teacher. I hope you get the chance to study with her soon!